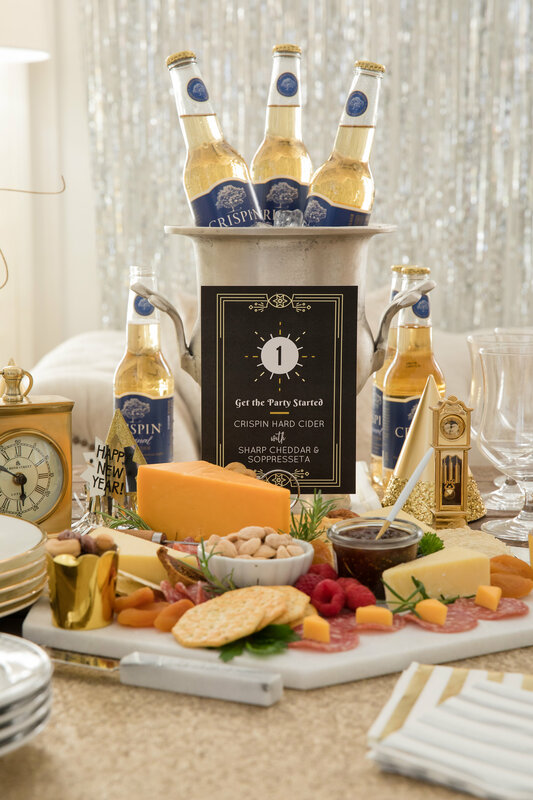 What better way to ring in the New Year than hosting your friends for the ultimate New Year’s Eve soirée? 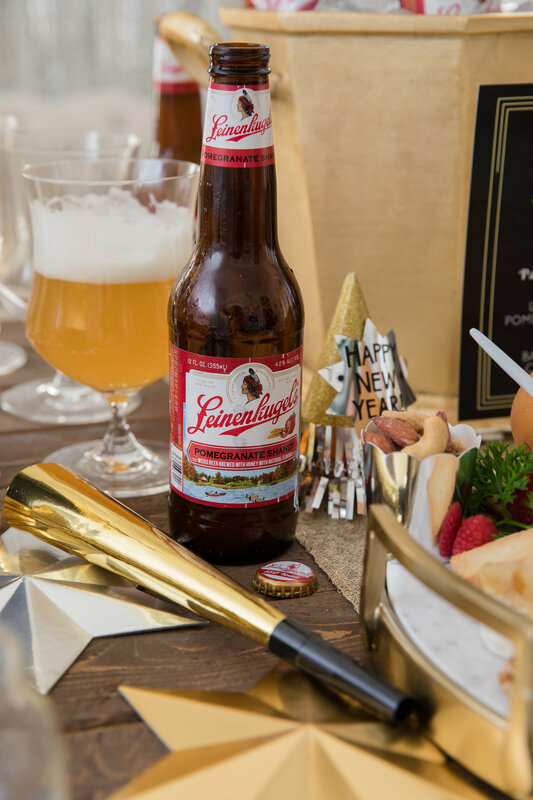 But this year, instead of the traditional wine and champagne, I’m ringing in the new year with something a little unexpected: food and beer pairings. Come along and let me show you how to create this festive and delicious celebration to countdown to 2018. 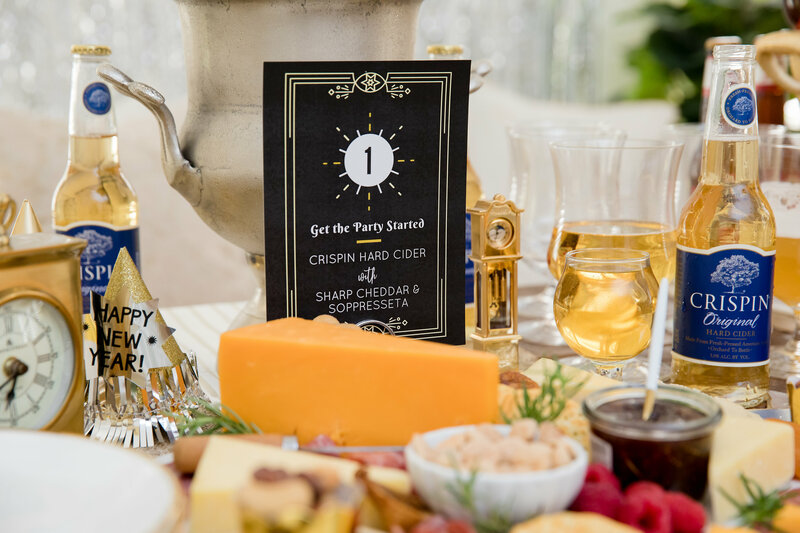 New Year’s Eve is a night dedicated to celebrating and mingling with friends so arrange a table with food and drink stations so that your guests can do just that. Start with your dining room table (or a long table placed in the living room) and organize your small bites and brews in three stations. 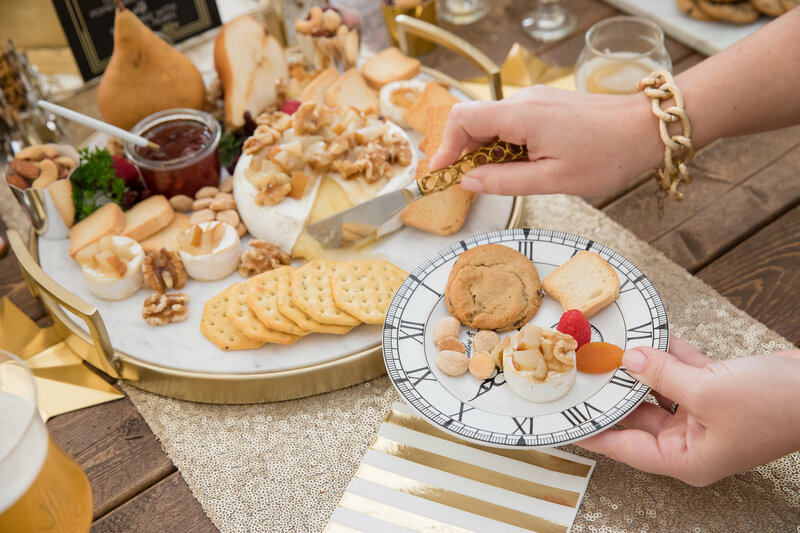 Place a simple gold runner down your table and top with marble boards for each food station. Knowing that your guests will be coming back for more throughout the night, you’ll want to add some extra glitz and glam. An easy and inexpensive way to create a sparkling ambiance is to hang a silver or gold tassel backdrop on the walls or around the room. 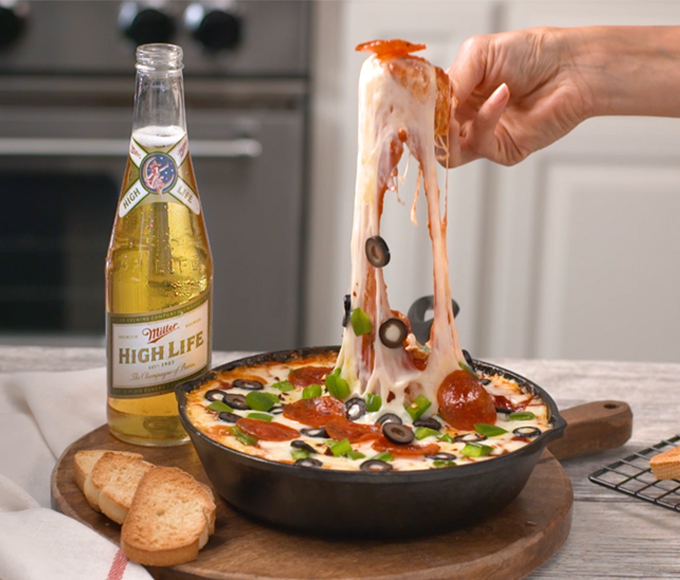 Cheese and beer might be unexpected to some, but, I can assure you that guests will adore every bite and sip. Beer is the perfect palate cleanser because the carbonation, alcohol and hops cut through the flavors and textures, making each bite as tasty as the first. 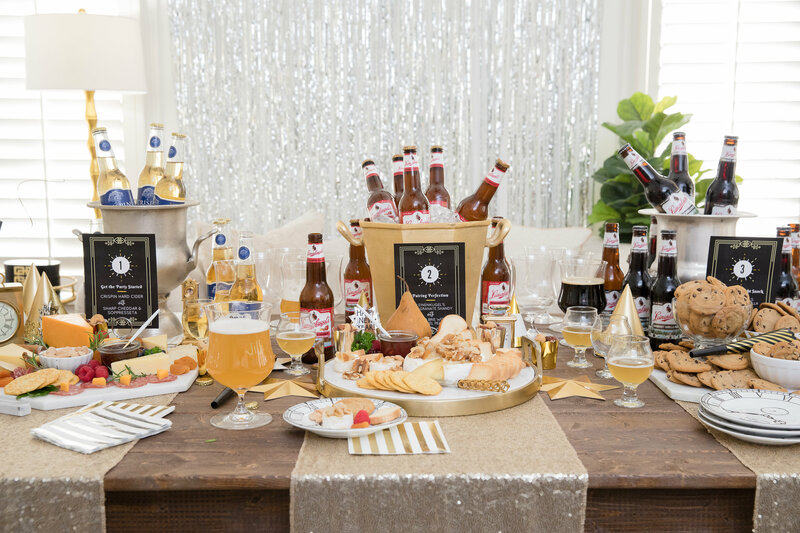 The pairings we are featuring were carefully chosen by a Pints and Plates certified Master Cicerone® so you are guaranteed to impress your guests by the end of the night. - The fresh apple flavor of the cider balances the savory cheese and the spicy Soppressata. - The beer’s lively fruit notes contrast the earthy flavors in the Brie, while also complementing the pears. 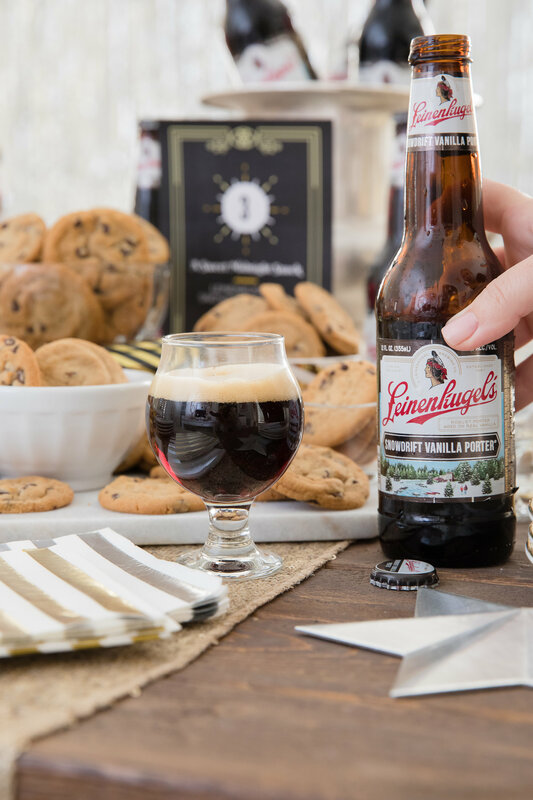 - Notes of caramel malt and fresh vanilla bean in Leinenkugel's Snowdrift Vanilla Porter add decadent sweetness to the cookie while hints of dark chocolate in the beer complement the chocolate chips. 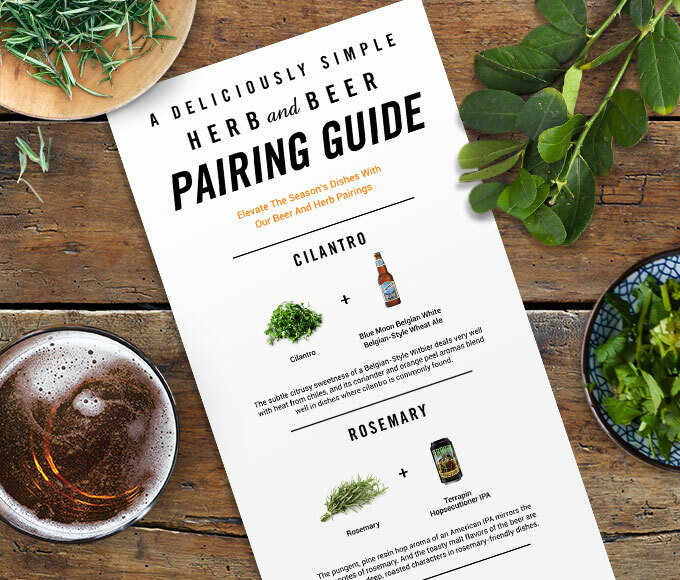 Click here to learn more about the basics of food and beer pairing from a Pints and Plates Master Cicerone®. 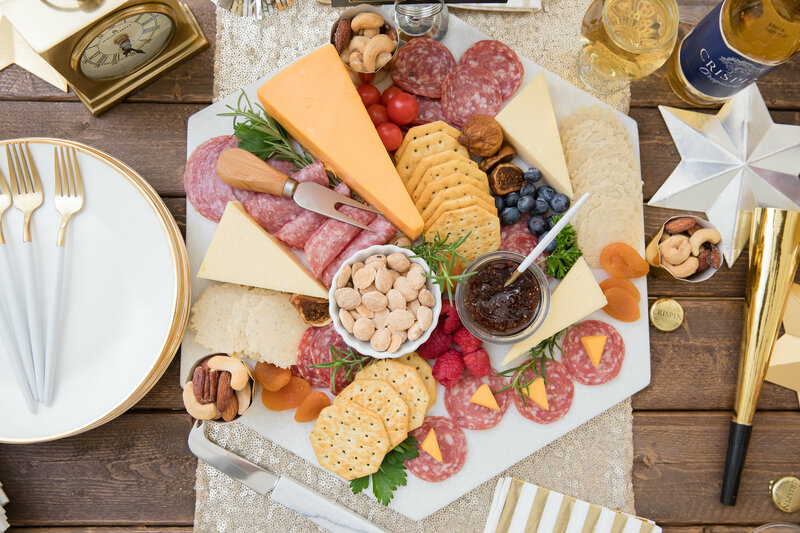 Consider pairing mini bites of the sharp cheddar atop the Soppressata for easy eating while mixing and mingling. I even picked up mini brie wheels to make bite-sized versions of the Baked Brie with Caramel Pears. 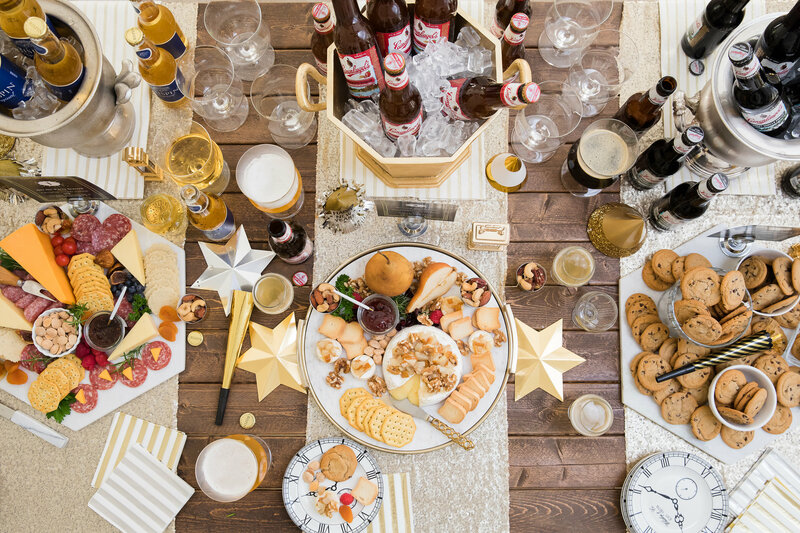 Serve regular beer glasses as well as mini “tasting size” glasses to encourage guests to taste all of the pairings throughout the night! To show off each pairing and keep the beer cold, I displayed the bottles in festive ice buckets at each station. Add a printed sign or food tent-card to let guests know what they’re enjoying. To take one thing off your plate, you can download and print all three of the food tent-cards below. Lastly, add in touches of green herbs and other accoutrements throughout your food boards. I love finishing the night with a little something sweet for midnight so the Leinenkugel’s Snow Drift Vanilla Porter and chocolate chip cookies fit the bill. This happens to be my husband’s favorite beer so this was his go-to station throughout the night. Have little “to-go” containers ready to send guests off with some extra cookies. Sending friends off with a party favor always makes for a sweet ending to a memorable night! 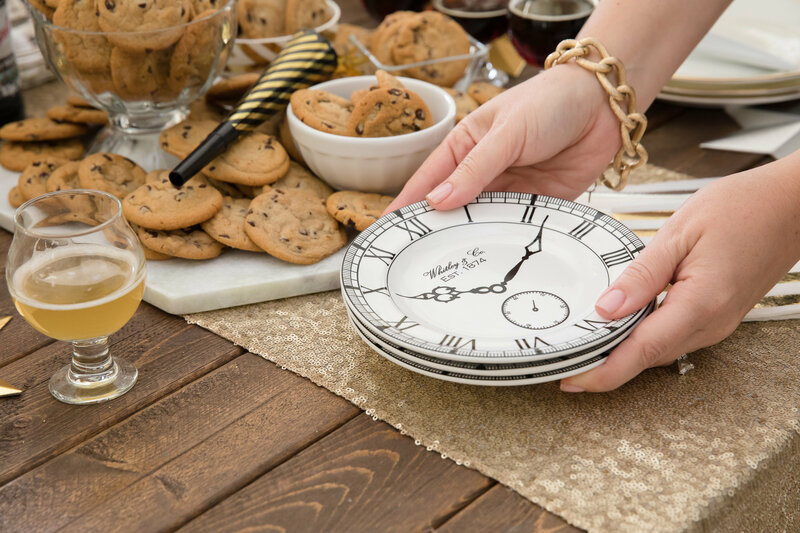 Throughout the table, I scattered gold and silver décor as well as lots of mini clocks to tie in the New Year’s Eve “midnight” theme. Always scatter extra cocktail napkins at each station. I chose silver and gold striped to stay on theme. And a few party hats and horns are a festive touch for the occasion. Encourage guests to share their favorite moments from the year. 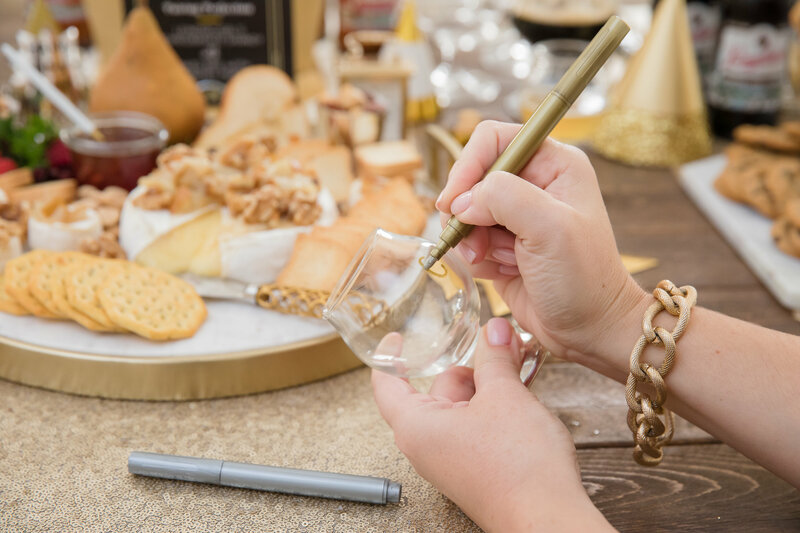 One idea is for guests to write one word that described 2017 on their tasting glass. This will be a fun conversation starter throughout the night and something you can continue from year to year. One last tip? Prepare in advance so you can enjoy the party as well as your guests. 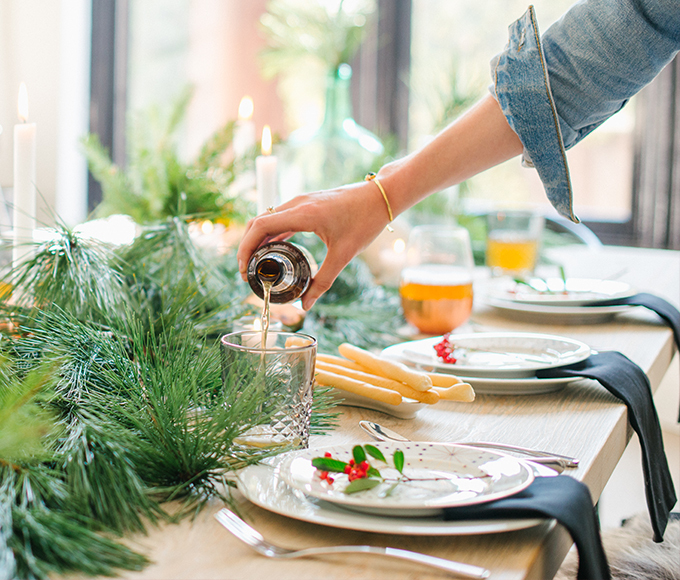 Set out all décor and platters the night before (or even earlier). 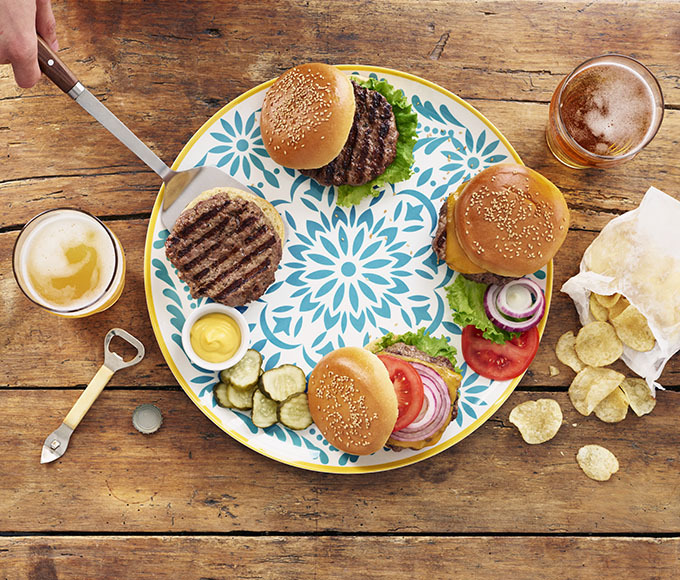 Place little sticky notes where dishes will go once they’re prepared. It’s these little touches that help save time during the final hours to get everything ready. You’ll be thankful that you can ring in the New Year with friends instead of rushing around the kitchen.